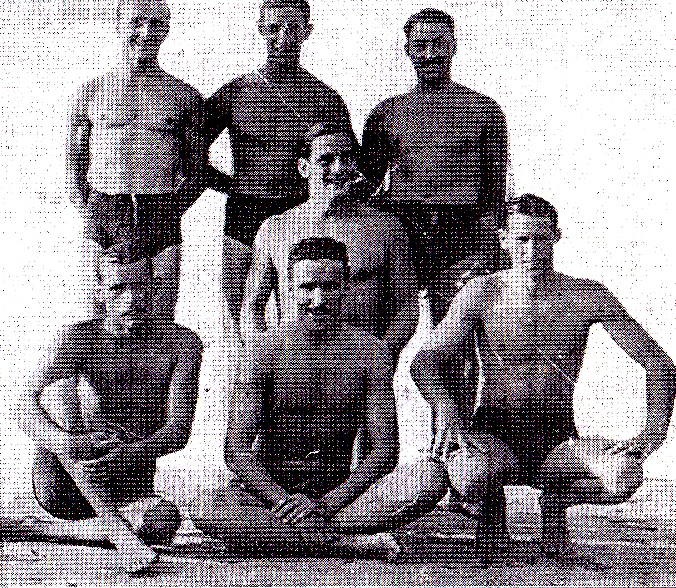 The team of Rari Nantes Camogli winner of the A' division Italian Campionship in 1935. Standing L-R: Amoretti, Ognio, Baldini. Center: Majoni. Front L-R: Arienti, Soracco, Schenone.